Do you want to know more about our offer? Make a free of charge consultation! You will know how the proceedings with obtain documents look like, expected costs of our services and the time of execution of the service. If during a consultation you will decide to cooperate with us, we will start to carry out your case! 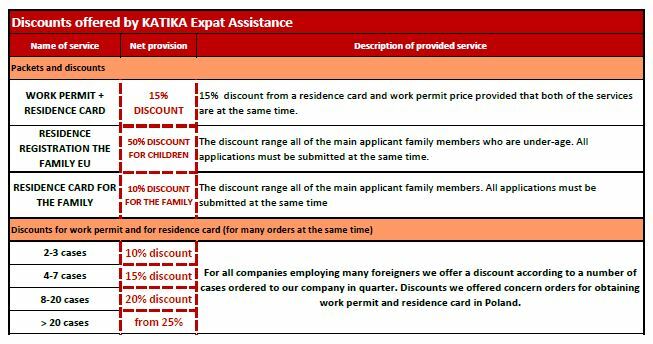 Are you an employer willing to employ a foreigner in Poland? Are you wondering whether you would need to get extra documents? In some jobs, or cases of employing foreigners in Poland, no permits are required. However most employees, being citizens of countries outside the EU, must obtain a work permit. With our help, you will receive all the necessary documents, efficiently and without standing in long queues. On your behalf we will fill all necessary applications, obtain the required documents, inform you about updates and changes in legal regulations. On your behalf we will also receive prepared work permit and we will deliver it to your office directly. Maybe you or your employee need help with obtain a residence card? You are terrified because of long queues in Offices, you do not know which application is proper for you, where you can translate documents from your language to polish? Maybe you want to save your time and use our help? It is not something easier, we are not afraid of long queues, it is the part of our job.